Pope Adrian I was Pope from 1 February 772 to his death in 795. He was the son of Theodore, a Roman nobleman. 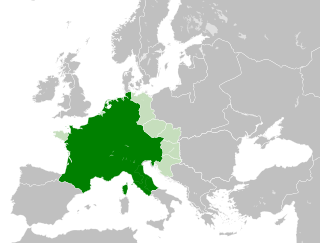 Desiderius was a king of the Lombard Kingdom of northern Italy, ruling from 756 to 774. 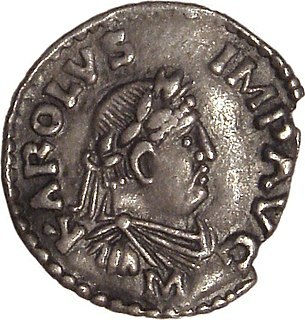 He is chiefly known for his connection to Charlemagne, who married his daughter and conquered his realm. The Siege or Battle of Pavia was fought in 773–774 in northern Italy, near Ticinum, and resulted in the victory of the Franks under Charlemagne against the Lombards under king Desiderius.